Single hand techniques are valid if correctly performed but should not be studied until the Dan ranks are reached. The main difficulty is achieving the effect of Shibori (wringing) by snapping the wrist inwards as the cut is made. Either hand may be used and the body is turned sideways to the appropriate side. The left hand is much easier to perform and gives greater control, besides adding some eighteen inches to the reach. Katate-waza from Seigan (natural posture) consists of circling the blade backwards and sweeping it up over the head and throwing forward. This is normally used merely as a 'trick' or 'surprise' attack and is rather dangerous unless controlled. The simplest Katate-dzuki (single hand thrust) in which the left hand throws the blade forward into the neck; this can also be the means of simultaneously escaping a Kote attack. The Do and Kote are rather unlikely targets in this style. The main use of Katate-waza are from Jodan (high posture) and the blade is thrown forward just as the opponent attacks. The main defence against Jodan is to raise the Shinai point to cover the high attack line, in a rather high Chudan (middle posture). The easiest targets are the Tsuki or the Kote, both Kote and Do are in play if the opponent adopts Jodan. 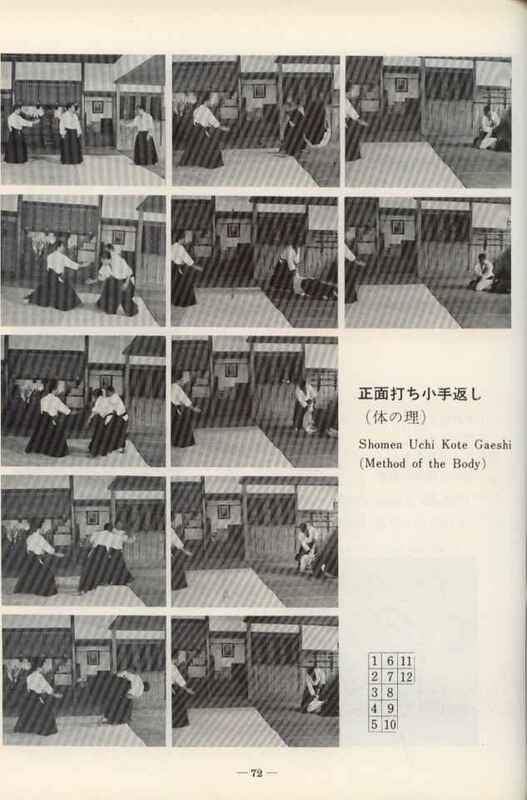 In this case the man in Jodan will sometimes use the Katate cut to simultaneously avoid a Kote attack, drawing the hand back as he cuts.